Discovery Channel, in its new India production – Medical Miracle India – brings a fascinating story of scientific marvel and the triumph of hope. The one-hour programme follows the complexities and the real-life drama of a rare medical case by a team of Indian doctors of surgically separating conjoined twins. 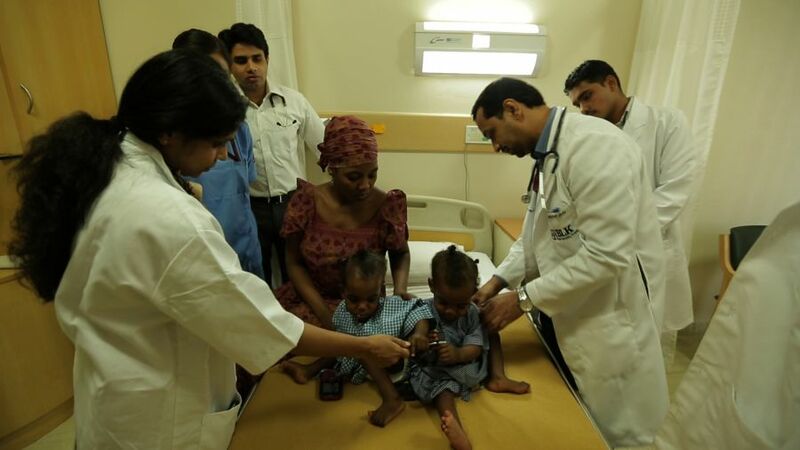 Medical Miracle India is a touching story of conjoined twins – Hasna and Hussaina, from the Badaru family in Nigeria. The programme chronicles the miseries and fear of the Badarus faced since the birth of their twins. After a long wait and rounds of consultations from local doctors, the Badarus were convinced that medical intervention to separate the twins was not possible in their own country. There were tremendous complexities involved in separating the twins, due to which the Badaru family was referred to BLK Specialty Hospital in New Delhi, India. In a foreign city, far from their homeland, the case of Badaru children was taken over by Indian surgeons, whose attempt was to surgically separate them. This was the twins’ only chance at life and a normal childhood. The question was – could they survive the hazardous medical procedure? After much tests and deliberations, in May 2013, a team of Indian doctors with diverse expertise collaborated to pull off one of the most complex successful surgeries in the world. Discovery Channel’s Medical Miracle India brings first-hand view of the tribulations, the process and the victorious journey to a healthy life for the children. Medical Miracle India will premiere on Sunday, July 27 at 9 pm only on Discovery Channel.